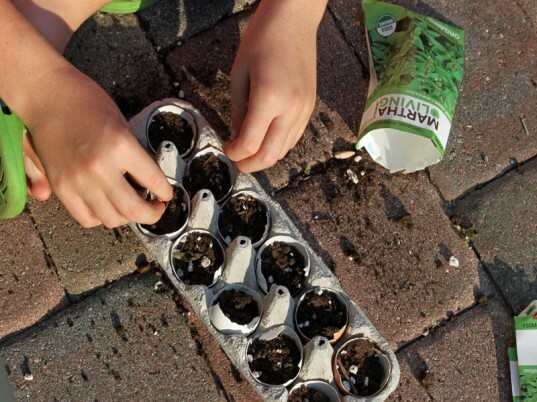 Now is the perfect time of year to plant a small garden with your children. 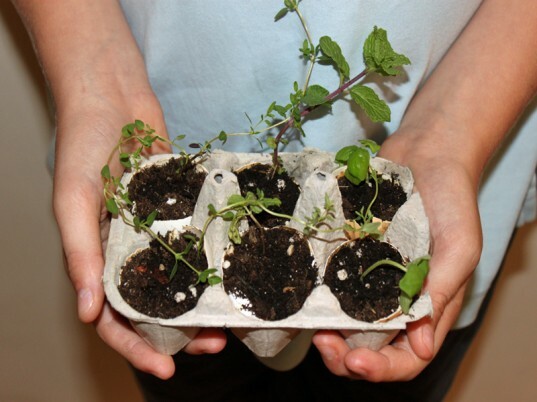 We have enjoyed all types of gardening in our home throughout the years -- however, my son is always happy to make a simple herb garden with me. 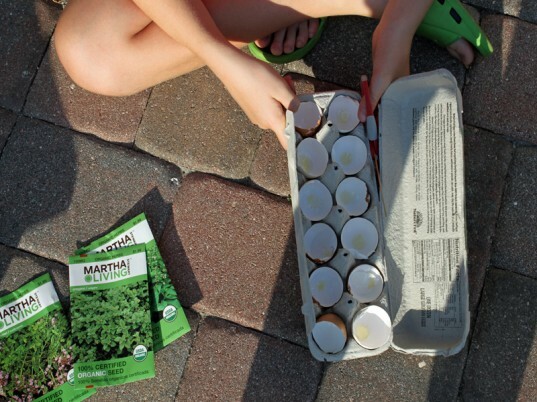 The only necessary supplies for this recycled herb garden are an egg carton, egg shells, soil and seeds! It's an easy project that your children can do entirely themselves and it's a great learning opportunity as well. 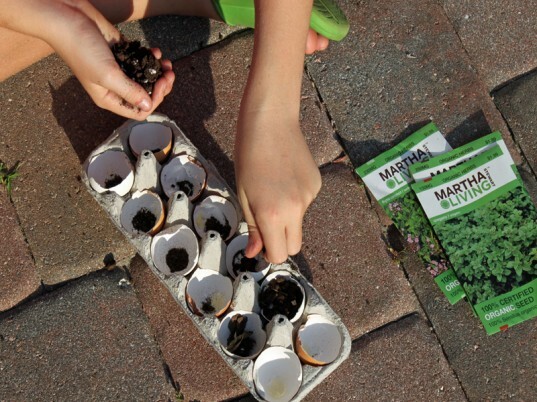 Your kids will 'dig' the entire process -- from creating the garden, to watching it grow to harvesting the herbs and using them in their favorite meals. Gardening is also a great way to teach children the life cycle of a plant, and it instills in them a sense of pride when they watch their own garden grow. My son and I headed outside for this messy garden project. We started with him cutting off the excess egg carton with a pair of scissors. This was my son’s favorite part – getting his hands dirty! 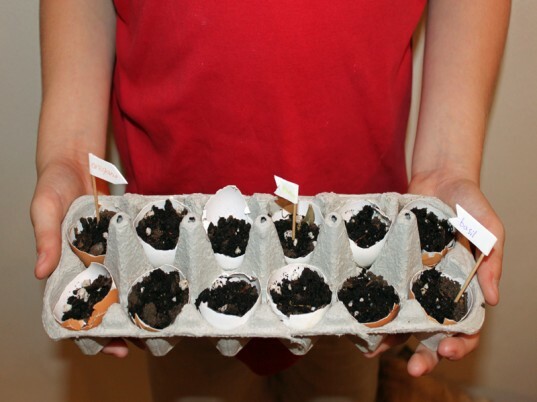 He filled each of the eggshells in the carton with organic soil. Then, he made a small hole to plant the seeds, we choose an assortment of organic herbs; oregano, basil and thyme. He then watered the seeds and placed them outside on our sunny patio! 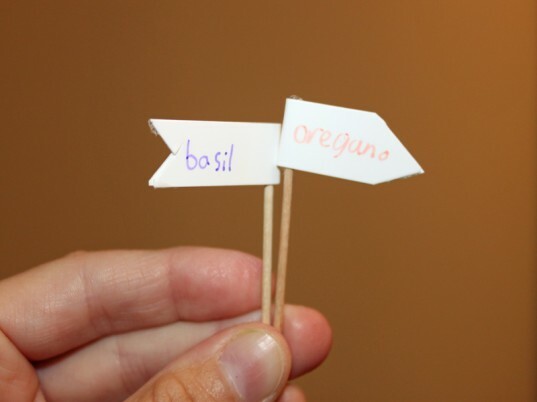 My son made tiny labels on flags to place inside of the garden so we would be able to discern which herbs started to grow! He was very excited to see that his herbs were sprouting! Step 7: Watch them Grow! Every day after school my son checks on his herb garden and adds water when necessary. Once the seeds sprouted, we eventually moved them into larger pots so we could allow the herbs to continue to grow. 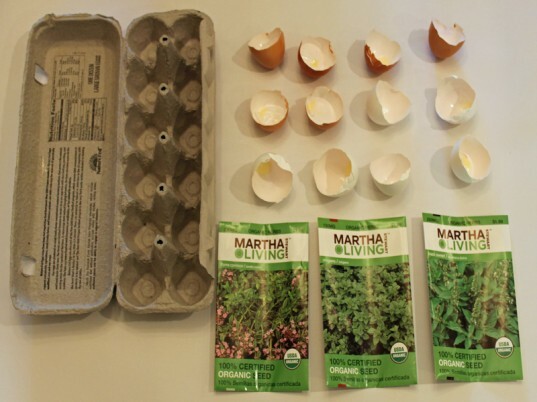 Simply replant the entire herb seedling, including the eggshells. This was my son's favorite part - getting his hands dirty! 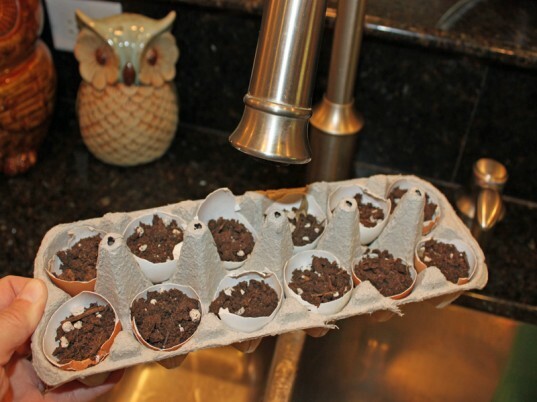 He filled each of the eggshells in the carton with organic soil. Then, he made a small hole to plant the seeds, we choose an assortment of organic herbs: oregano, basil and thyme. My son made tiny labels on flags to place inside of the garden so that we would be able to discern which herbs had started to grow! He was very excited to see that his herbs were sprouting!